Numidian Warriors with Spears or Javelins. North African warriors of the Ancient world who allied with Carthage against Rome in the Punic Wars. 8 unpainted 28mm figures per pack. 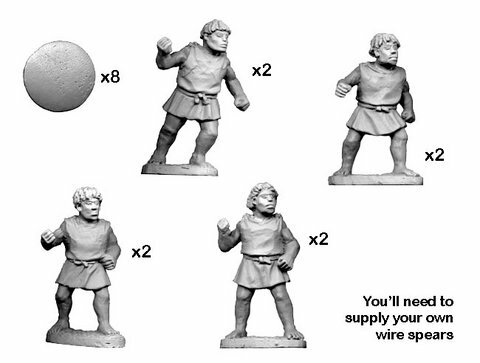 We don't supply the spear for the figures, you can make your own or you can buy wire spears from Crusader Miniatures to fit in their hands.